The chances of passing an MOT can vary sharply between different models, and even the day of the week of the test can make a difference. Taking your car for its MOT can be a nerve-wracking experience. 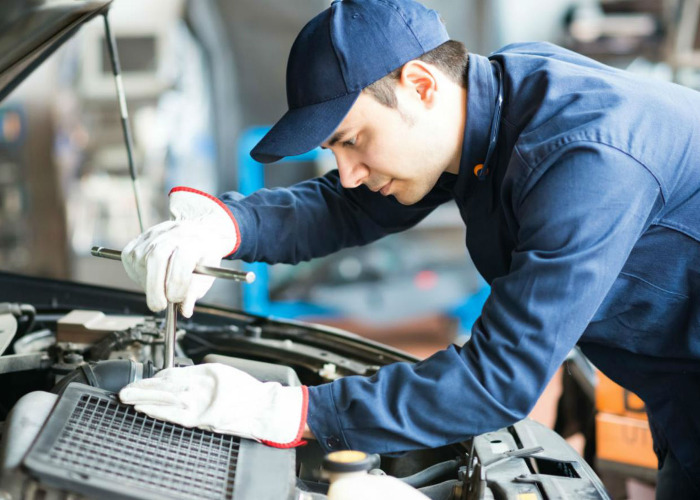 Get the thumbs up and you can get back out on the open road, but should your vehicle fail getting the issues fixed can cost a small fortune. As such, when you pick out a new motor you don’t just want one that will deliver decent fuel efficiency, but also one that will be sufficiently reliable that it won’t be a major worry when it comes to facing the MOT. So which cars are the most reliable? Insurer By Miles has analysed data from the Department for Transport to pick out the best and worst cars when it comes to the MOT. It looked only at brands which had been subject to more than 3,000 tests during 2017, as well as sticking to cars that were only three to five years old, to ensure the results weren’t unduly affected by older models. If your car insurance is up for renewal, make sure you shop around for a cheaper quote – you could save £100s! Get a quote from Confused.com today. Honda led the way according to the data, with 93.8% of MOT tests passed, followed closely behind by Porsche at 93.2%. Subaru took third spot, with a pass rate of 92.8%, followed by Lexus (92.6%) and Toyota (91.5%). The eagle-eyed among you will have noticed that four of those top five brands come from Japan, so clearly if you are looking for reliability you could do a lot worse than pick up a Japanese motor. Things aren’t so good if you’re a Chrysler driver, with a pass rate of just 80.1%. That’s the lowest identified by By Miles, with one in five Chrysler motorists seeing their car fail the MOT. Other brands with a disappointing pass rate were Chevrolet (82.2%), Renault (82.5%), Citroen (84.4%) and Alfa Romeo (84.9%). But what about the specific models that have the most trouble passing their MOT at the first time of asking? Where and when should I get the MOT? There are clearly significantly different pass rates between different motors, but that’s not the only factor to consider. The day of the week in which you go for your MOT, and the test centre you choose, will also play a role. The By Miles study found that Mondays are the worst days for tests, with just 72% of vehicles passing. In contrast, almost four in every five (79%) of cars tested on a Sunday come out with a pass. So finding a centre that carries out weekend MOTs may be worth your while. Similarly, it’s worth researching the pass rates of your local centres if you want to maximise your chances of passing. By Miles found that test centres in the South East see the most successful tests, with a whopping 84% of vehicles in the region passing the test at the first time of asking. That’s 14 percentage points higher than the average for the rest of the UK. The Driver and Vehicle Standards Agency (DVSA) publishes data each year on precisely why cars fail their MOTs, so before you send your car in for its test it’s worth doing your homework to make sure you don’t fall foul of the most common problems. For example, a whopping 29.7% of fails in 2016/17 were down to signalling and lighting issues. So make sure that there aren’t any problems with your indicators and get any iffy bulbs replaced before going for your test. Around one in 10 fails (10.5%) are down to tyres. This is another one that it’s easy to check in advance - make sure the tyre pressure is high enough, check for any cuts or damage across the tyre and make sure there is at least 1.6mm of tread. Just shy of one in 10 (8.8%) of fails are down to problems with the driver’s view of the road. To improve your chances of passing, make sure that the washer fluid has been topped up, all of your mirrors are in good condition, and any windscreen cracks have been fixed. As a final point, it's worth repeating that the rules behind MOT's changed last May, so if this your first test since then it's worth reading up about what this might mean for you.